SHIFT Gear Exchange was created to fill a void in the Austin market (and beyond). 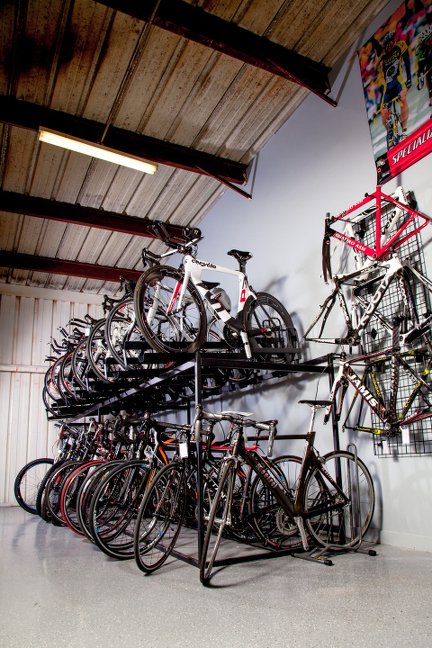 With over 50 retail bike shops in the Austin area, none specialize in buying, selling or trading of “high end” previously used road or mountain bikes and gear. Our business model allows both beginner and experienced riders to maximize their budget dollars and the ability to get into the sport or to trade up. On top of sales and consignment, we also have a full repair shop in house. Whether it's a full hydraulic brake bleed or a quick flat repair, we can do it for you. We want to SHIFT your mindset from traditional retail by not offering “sales”, but rather an everyday low price (up to 70% of retail). Many of the items we offer to address your “on the bike” or “off the bike” needs are name brand samples. This means our selection of size, color and model for retail items is limited. If you are shopping for extra-small or extra-large sizes, our new items may not be for you. If you or someone on your gift list are “sample size” (small/medium for women and medium/large for men), we have a great selection to choose from. We carry popular brands and the ones we wear or use both on and off the bike. We are located in the Burnet Road Business Park, half a mile north of 183.